Chelsea FC Joins The List For Dr Pepper Dallas Cup XXXI Super Group! 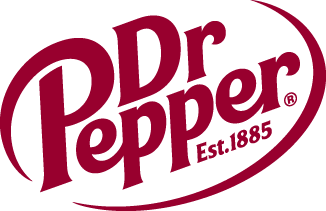 | Dallas Cup, Inc.
Chelsea FC Joins The List For Dr Pepper Dallas Cup XXXI Super Group! The Blues return after a two year absence!!! Dallas Cup Executive Director Gordon Jago is pleased to announce that Chelsea FC will be returning to Dallas after a two year absence to compete in the Super Group. The “Blues” were last in Dallas in 2007 with a squad of outstanding players many of which are currently in Chelsea’s Reserve team and in the First team for manager Carlo Ancelotti. Tournament dates are March 28-April 4, 2010. In 2007 Chelsea played the championship match against Sao Paulo FC in one of the most memorable games in the history of the Dallas Cup. The “Blues” trip to Dallas next March will be coordinated by Reserve Team Manager Steve Holland who says “We are delighted to once again be involved in one of the most prestigious international tournaments in world football. We have several players in our current 1st team squad, who have experienced the Dallas Cup. The opportunity to play against top level opposition from around the world, with excellent facilities, is an important part of the player’s development. Both staff and players are looking forward to enjoying the experience again early next year”. If interested in sponsorship opportunities with “Dr Pepper Dallas Cup XXXI” or the “Dallas Is Diversity Program” please contact Executive Director Gordon Jago at the Dallas Cup office via phone at 214.221.3636 or via email (gordon@dallascup.com). Official Dallas Cup, Inc. website is www.dallascup.com .